Discover Dunedin’s unique jewellery designers, all showcased in one place. Beautiful, interesting, classic or quirky jewellery, buy it all online here. 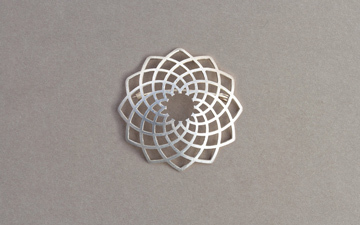 Darkblack is a handmade designer jewellery label, designed and manufactured in Dunedin, by artist and jeweller Jade Muirhead. Only the highest quality materials are used in the production of Darkblack pieces, mainly using sterling silver, gold and precious stones. Meaning... Beauty... Quality... LoveLoops are the most gorgeous way to symbolise the special people and events in your life in absolute quality. Wear LoveLoops to represent your children, your marriage, your family, or whatever it is that you Love. 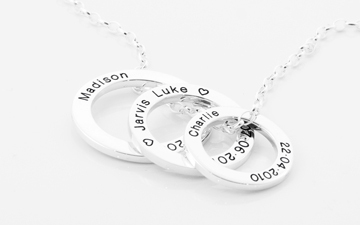 Solid Sterling Silver and solid 9ct Gold are used to form the beautiful Loops that symbolise your love…LoveLoops. Designed, crafted, owned and operated in New Zealand. Rata Jewellery presents an international collection but specialises in contemporary NZ designed and manufactured jewellery. We proudly showcase edgy, emerging designers including Cathy Pope, Tangello Tree and Odi Boutique and gorgeous ranges from established designers David Trubridge, Jill Main, Lisa Hoskin, Stone Arrow and Natty.